Plastic bags are really just part of the iceberg when it comes to the mountain of plastic waste killing aquatic life and ecosystems. It's a debate you're going to hear a lot more about in coming years. While our generation has been living the dream, we're leaving a nightmare to future generations. New resesarch shows that even the microfibres lost from our clothes when we wash them are finding their way into the food chain - that's OUR food chain! I made this Private Member's Statement in Parliament recently to highlight the issue. "Mr GREG PIPER ( Lake Macquarie ) ( 17:36 ): There is no doubt that we are discovering what may be the most significant environmental issue of our time. Surprisingly, I am talking about plastics in all their various forms, but most specifically microplastics and synthetic microfibres. These are having an enormous and potentially fatal impact on our aquatic environment. While our generation has been living the dream, we have been creating a nightmare for future generations, and the extent of that nightmare is only now being realised. It is said that thinking globally requires us to act locally. I am pleased to say that in my electorate of Lake Macquarie a number of groups are working to make our communities more sustainable, more aware of environmental issues, and more aware of the need to reduce resource consumption. However, turning back the tide is a long way off. There has been much debate about bans on plastic bags—an area in which this State is sadly dragging its feet—but they are only part of a much bigger problem. Plastics generally do not break down, or at least they do so very slowly. They are effectively left in our environment forever due to our inability to provide proper stewardship of our environment. Our creeks, rivers, estuaries, coasts and oceans are all affected by marine debris, with plastics the most obvious and the most deadly. These plastics are ubiquitous and are being found to kill birds; marine and terrestrial reptiles and amphibians; mammals—most notably whales; and fish. Aquatic creatures ingest those plastics and suffocate or die slowly from intestinal blockages. Of course, we are not killing only aquatic life; we are also killing ourselves. Most of us are now eating fish that almost certainly contain some level of the microplastics they have ingested. The problem is being passed up the food chain to us. We are what we eat, and we are both the source of this problem and its victim. Leading CSIRO researchers have found that half the world's turtles and two-thirds of bird species along Australia's eastern coast have ingested plastics. On current projections, about 95 per cent of all seabirds will be found with plastic inside them by the middle of this century. That is 95 per cent of all seabirds. That is incredible and it is a wake-up call we cannot ignore. As we sit here now, plastic production is doubling every decade. 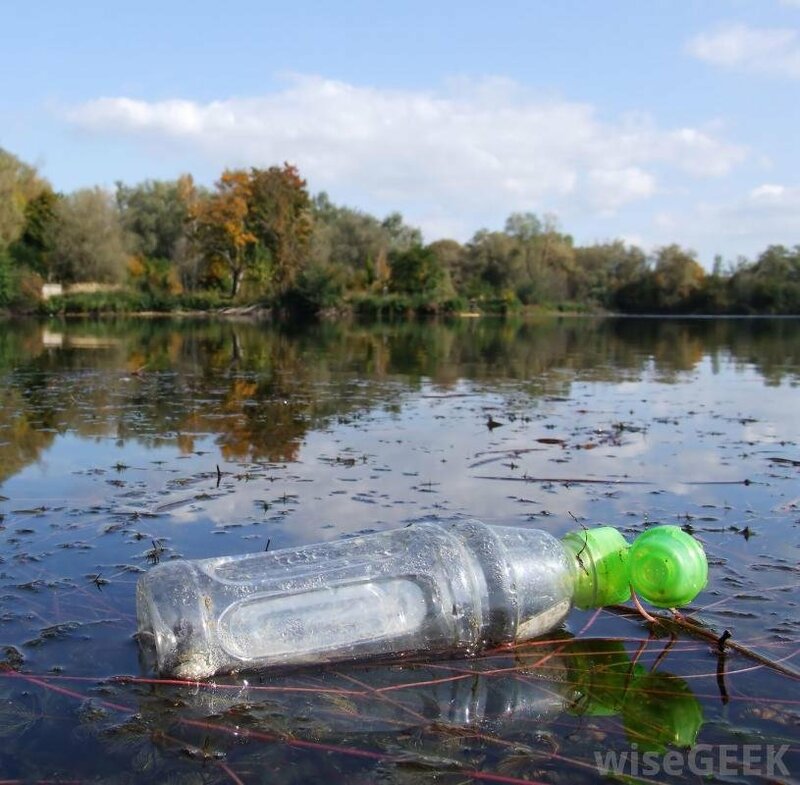 Global research now shows that plastic bottles and bags are only part of the problem, because we have learned that synthetic fibres in our clothes are also having a massive impact on aquatic environments—perhaps the greatest. These tiny fibres are lost from clothes, primarily when we wash them. It has been found that up to 40 per cent of these microfibres slip through our wastewater treatment plants and into local waterways. Microscopic studies of fish both at home and abroad show that these tiny threads are weaving their way into the intestinal tracts of aquatic species. These microfibres accumulate and the concentration of toxins becomes greater. They are passed higher up the food chain, essentially poisoning it along the way. At a global level, waste is now growing at double the rate of population. When it comes to waste generation per capita, Australia is ranked the fifth highest in the world. Many of the early recycling schemes were pioneered in Australia, but it appears that our early enterprise gave some people the idea that because we could recycle more we could waste more. And now we are paying a very dear price. We know there have been a number of attempts in this place to address or ban the use of plastic bags. It has been a personal quest of mine for many years—a quest that began many years ago in Bali, which I frequented at the time for surfing trips in particular. Discarded plastics were a major scourge, but I was part of an alliance that established clean-up and awareness programs designed to change attitudes. I am pleased to say that some of those involved with me at that time remain working in that space and have done great things, despite the almost overwhelming growing burden. We cannot allow this issue to remain out of sight and out of mind. If the Commonwealth is not going to show leadership on this issue, then we—the biggest State—need to step up. The Toronto Sustainable Neighbourhood Group is among 17 of its type working in the Lake Macquarie area and, under the leadership of Steve Dewar, is stepping up and advocating for a ban on single-use plastic bags. We need to help them by banning plastic bags and then working down from the tip of the iceberg into microplastics and microfibres—and we need to do it soon. The longer we wait and the longer we live the dream, the bigger the environmental crisis and the bigger the nightmare we create for ourselves and for future generations, particularly for my grandchildren whom I am very concerned for. Some improvements have been made with a pending container deposit scheme and action on microbead plastics, but we are losing the war. I applaud the ABC production War on Waste, and in supporting that notion I call for New South Wales to declare war on plastics in our environment."